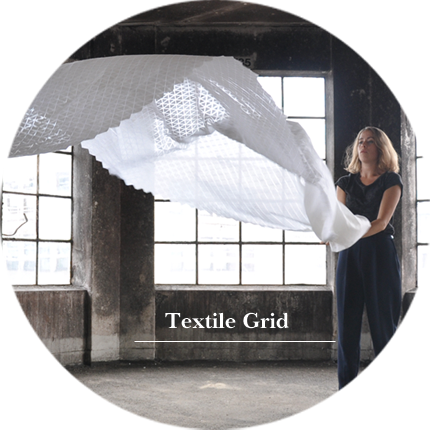 The basic principles of Textile Grid are a simple grid that is translated to screen-print, weave and knitting. 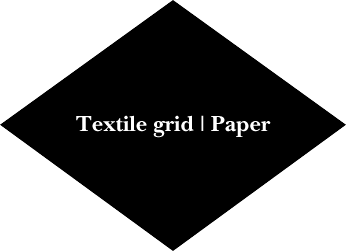 The grid serves as a construction in the fabric. 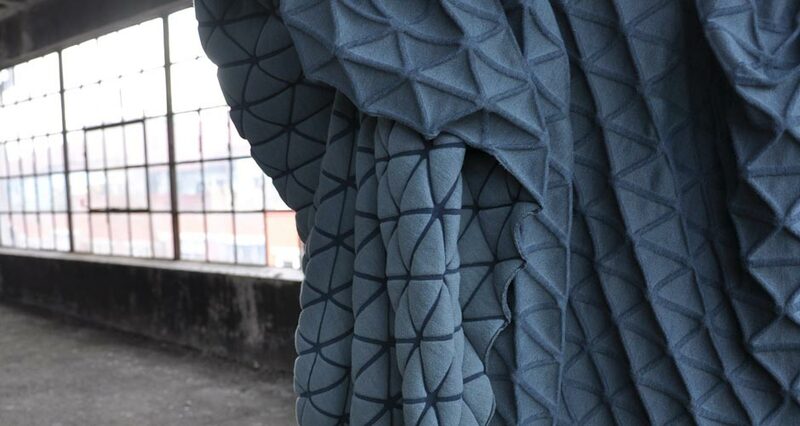 By playing with the contrast between soft and hard, stability and movement, both the expression and the behaviour of the textile are explored. 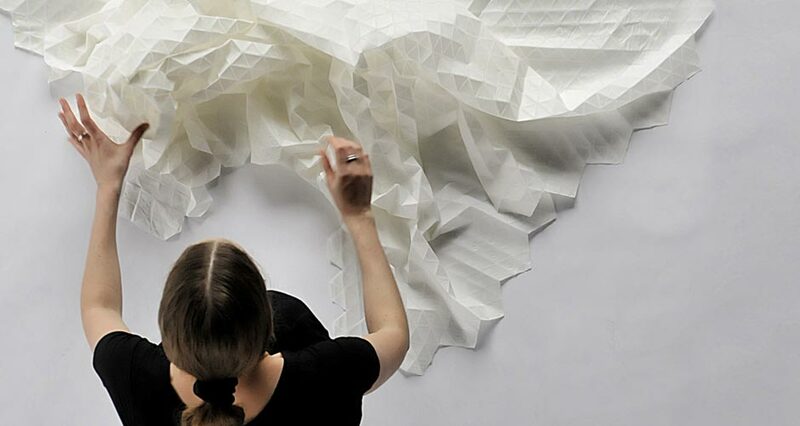 The series contains five textiles that folds and shape after its own construction. 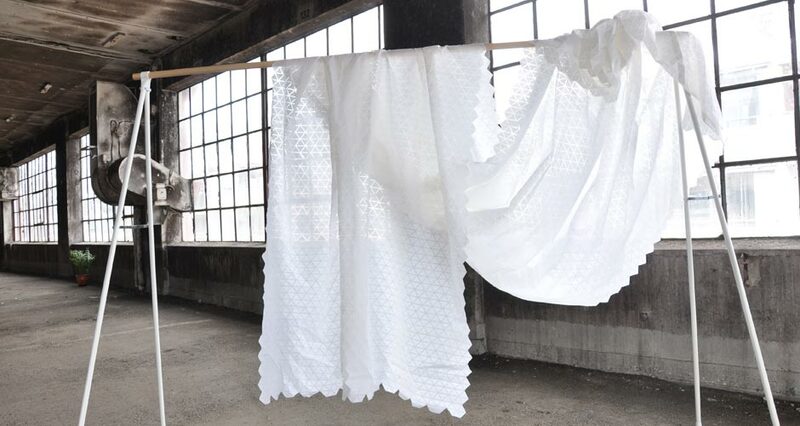 Textile Grid Paper a screen-printed light and transparent textile inspired by origami. 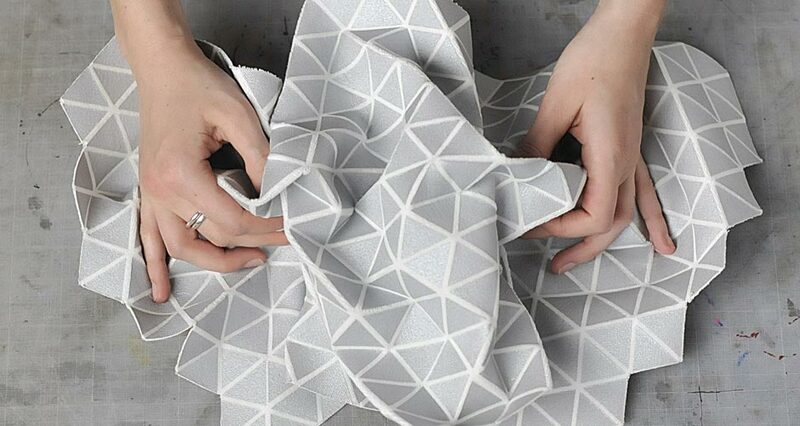 The material folds and shapes easily by its own construction. 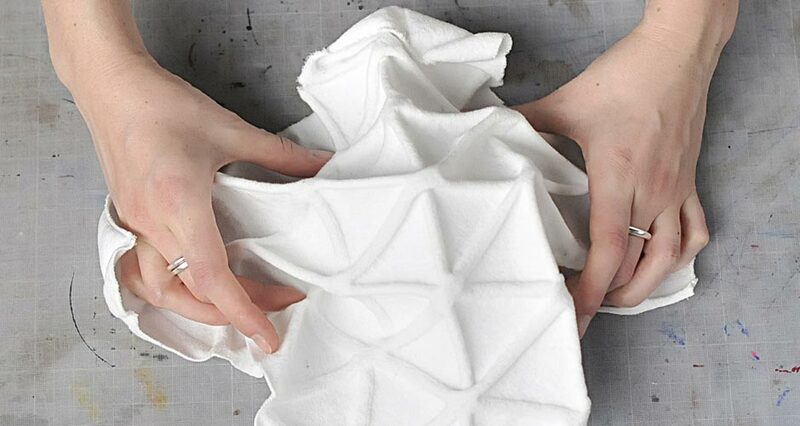 The different between the textile and the paper is that you can fold the textile without permanently marks. Textile Grid metal the grid is screen-printed on the upper side of velvet so the textile fibres in the lines make it easy to fold and shape. The movement that occur is almost mechanical. Textile Grid Slate a knitted textile with two sides. One side has a distinctive grid pattern and the other side has a more bulgy expression with triangles. 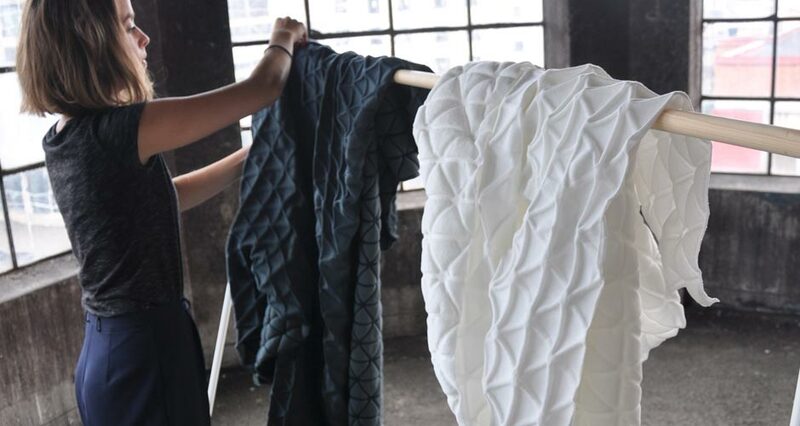 The material is mostly cotton that gives it a soft and heavy feeling. The dark grey and blue colour reminds about slate. Textile Grid marble a double-sided textile. 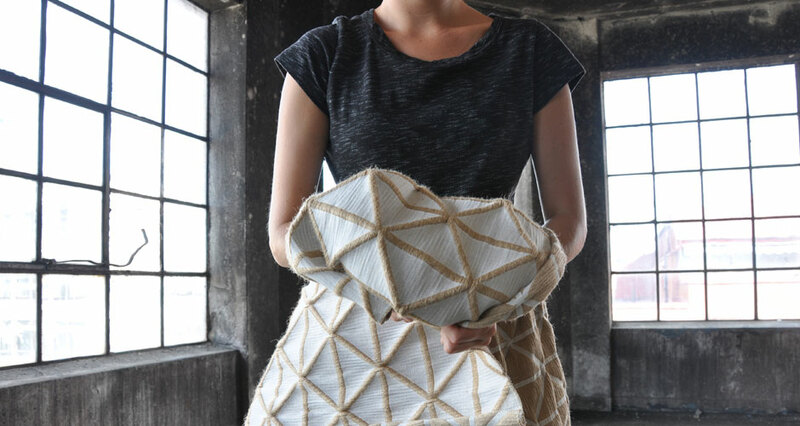 The material is knitted with shrink yarn that gives the textile a white, rough and cold expression. 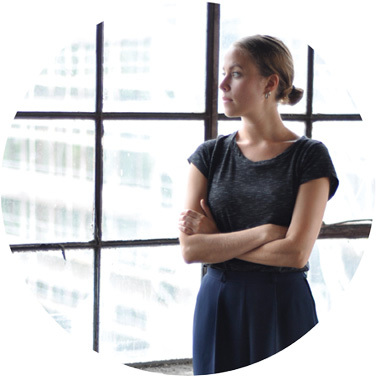 It’s a light-weighted material that shapes by its own construction. Textile Grid wood the woven textile in jute is stable and easy to shape. 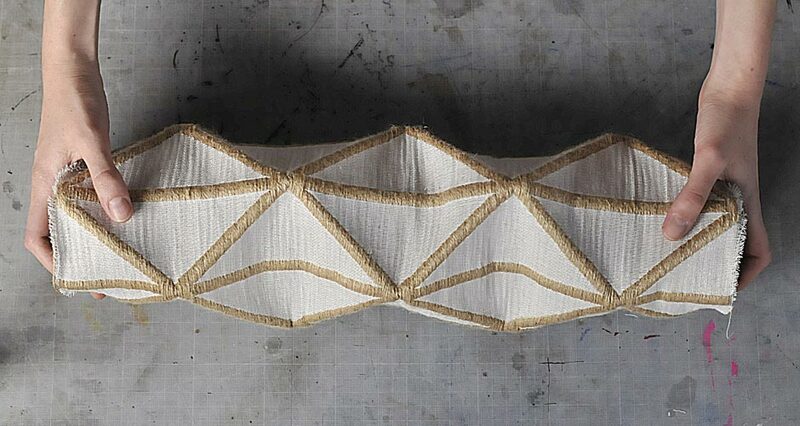 If you shape the material like a tube it gets a tension and strength that provide the way it moves. The rough texture in the triangle reminds of wood. 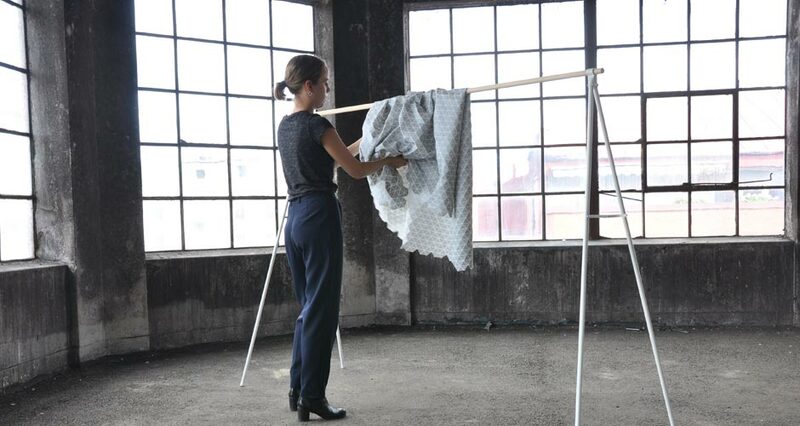 Nominated to Ung Svensk Form award 2012. Exhibiting international and national during 2013 and 2014. The tour starts at Stockholm Furniture & Light Fair 2013.